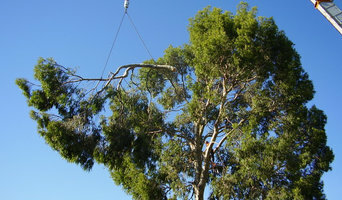 Arbor North Tree Services are based in Perth and provide professional and affordable tree services every time. The team at Arbor North Tree Services come fully licensed, insured, and equipped for jobs of any scale. Our team is highly experienced – we’ve been providing quality services to Perth for over 13 years. You can rely on our extensive range of services and equipment to complete the job safely and efficiently, leaving the area clean and tidy. TREE CARE SERVICES Trees are a key feature of any property, they not only offer shade, trees cool down the atmosphere and improve the aesthetic of any garden or landscape. It is important to routinely maintain your trees, but some are not so easily pruned. This is where Arbor North comes in – with everything required to take care of the entire job and leave the area clean and tidy, Arbor North is the best solution for your Perth property’s tree maintenance. Trees are beautiful, but neglected trees become overgrown, obstruct powerlines, and can even die prematurely. Make sure your property is resilient to storm damage by having your trees routinely cared for by a professional. 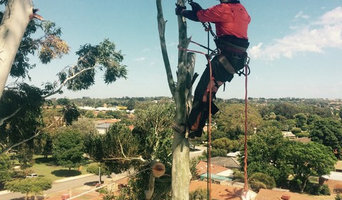 Arbor North have over 13 years experience servicing Perth’s trees, so avoid extra costs in the long run, and address your problem tree with Arbor North Tree Services. 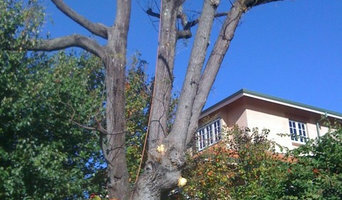 TREE REMOVAL SERVICES Trees bring life to your property, but sometimes they need to be removed. Whether it’s obstructing new development, infested with pests, diseased, or damaged during a storm, you can trust Arbor North to remove it right. Proper planning and experience is vital in removing a problem tree. Do not risk the safety of yourself and your property by hiring unqualified or untrained arborists, or attempting to remove/fell a tree yourself. The team at Arbor North is highly trained and experienced in all tree services, including removal and woodchipping. It is important to let an experienced professional handle the entire job, ensuring the possibility of stump removal as well as avoiding extra costs where more work is required for removal. Arbor North offers all related services that may be required to complete the job, at affordable prices. PALM CARE SERVICES Palm trees look amazing with a bit of maintenance, but dead or excessive fronds can become an eyesore. Whether you’re planning a new garden or landscaping an existing one, an arborist can also advise you on the best tree selection for your Perth, Western Australia environment, assist in planting, and can provide you with a long-term maintenance plan. Furthermore, they can help you diagnose any insect problems or diseases threatening existing plants in your yard. If you want to relocate a tree, an expert in arboriculture can give you advice on what it will need to flourish, and will replant it accordingly. Other services include hedge and shrub trimming, tree pruning and mulching. Tree contractors and arborists in Perth may work in conjunction with landscaping professionals to create a seamless design. Here are some related professionals and vendors to complement the work of arborists & tree services: Landscape Contractors & Gardeners, Landscape Architects & Designers, Garden & Landscape Supplies.